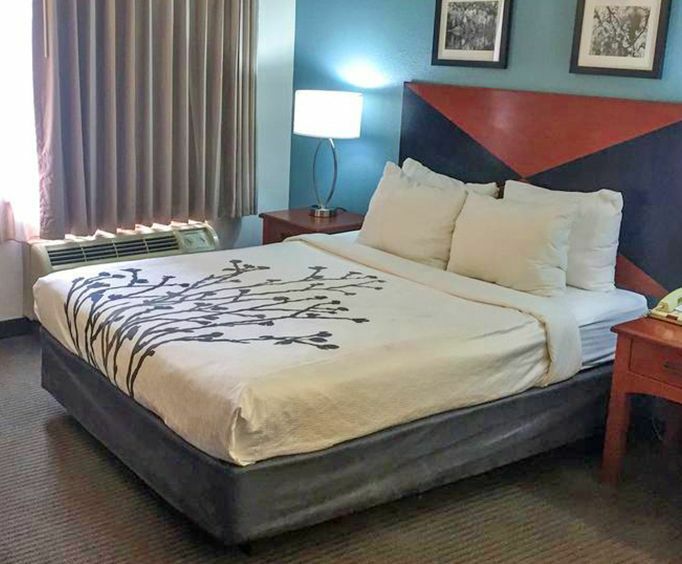 Conveniently located off I-75 in beautiful Chattanooga, Tennessee, the Sleep Inn offers comfortable accommodations and a variety of great amenities. Some of the amenities available to you include a complimentary continental breakfast served hot, including waffles, a free newspaper on weekdays and much more. 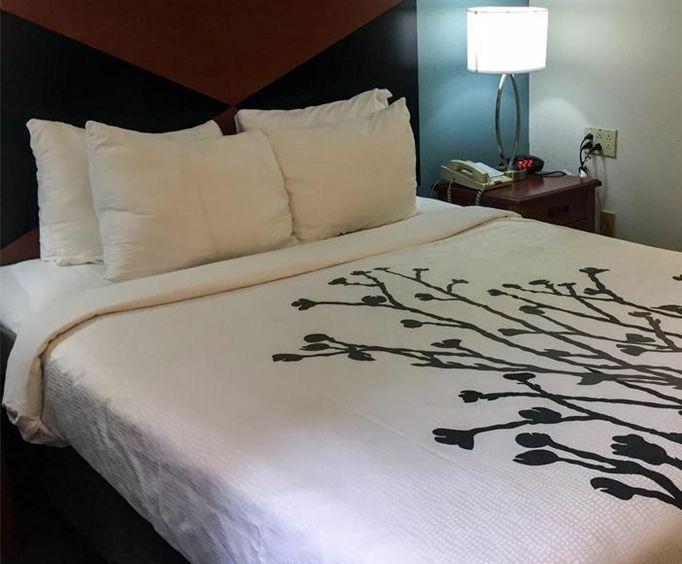 The Sleep Inn is also located within a short drive of many great attractions and activities including Chattanooga Choo Choo, Confederama, the Incline Railway, Rock City, Ruby Falls, the Tennessee Aquarium and much more. 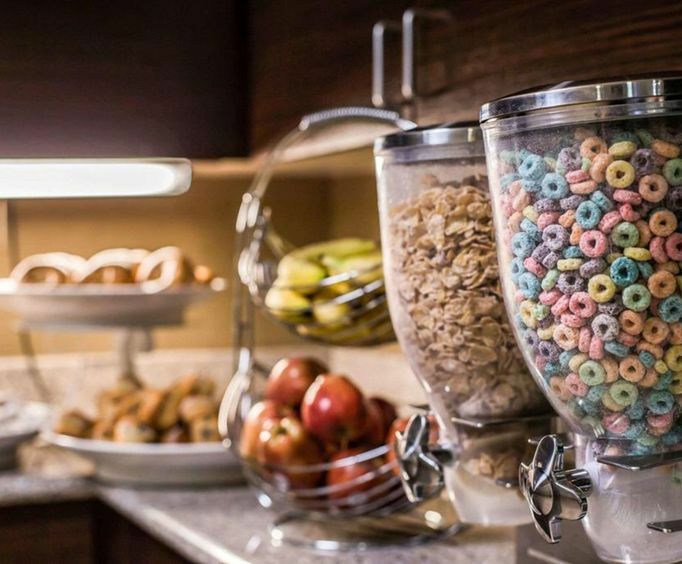 Begin the day with a tasty morning meal at the hot continental breakfast. Available breakfast foods include eggs, waffles, cereal, muffins, bagels, doughnuts, fresh fruit, juice, milk and coffee. While you eat your breakfast, enjoy reading the headlines and scanning the news of the day in your free copy of the newspaper. You can also visit the on-site newsstand if you prefer a magazine or different newspaper. If you travel on business, take advantage of the copy and fax services at the hotel. After seeing some of the area's attractions, return to your clean and comfortable room and watch your favorite TV shows. Your room includes a coffee maker, free local calls, complimentary high-speed internet, refrigerator and cable TV. A microwave is available in some rooms for your convenience. If you are looking for a great meal in the area, there is no need to travel far. Check out some of the popular restaurants that are adjacent to the hotel and within feet of your room, such as O'Charley's, Applebee's Neighborhood Grill and Cracker Barrel. J Alexander's is another good choice, located less than a half of a mile away. Nearby shopping attractions include Hamilton Place Mall and Hamilton Crossing, both of which are less than a mile south of the hotel.